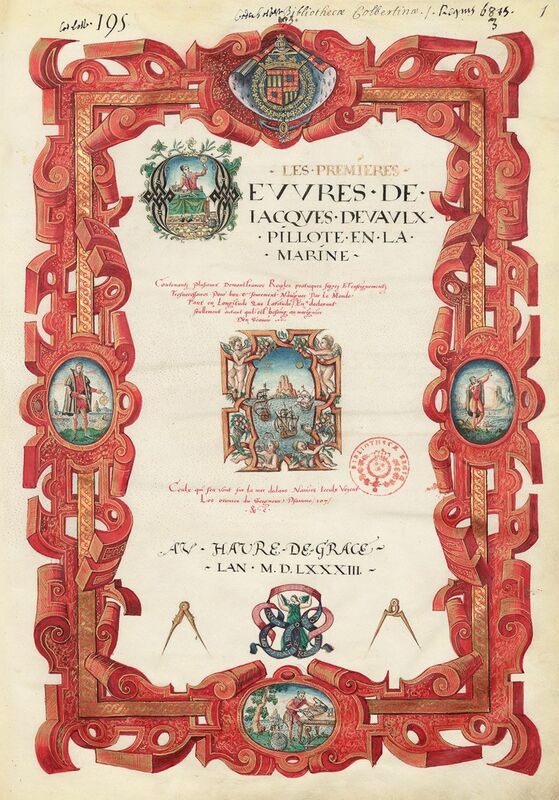 Les Premières Œuvres de Jacques Devaulx showed the way to the New World in 1583. 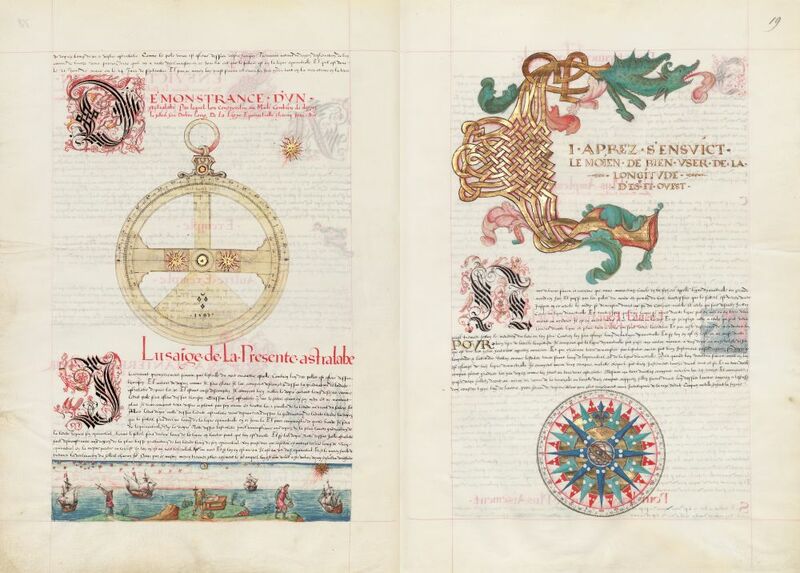 Born in either 1555 or 1560, the French mariner Jacques Devaulx created one of the finest examples of navigational knowledge in the Age of Exploration. 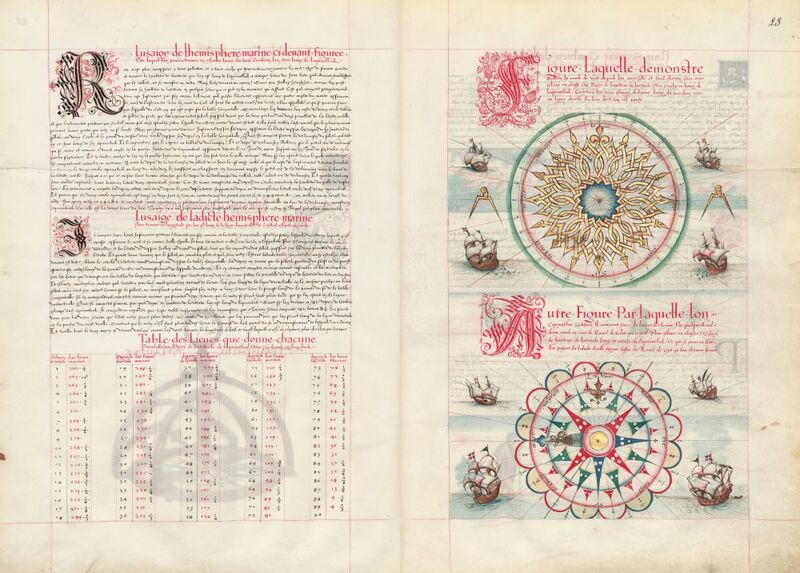 Les Premières Œuvres de Jacques Devaulx (The First Works of Jacques Devaulx) contains 31 folios illustrated with old maps, instruments, and practical instruction in navigation and astronomy. TASCHEN recently published a new facsimile edition of the work. In the 16th century, European voyages to the Americas were fraught with danger for mariners, not the least of which was getting lost. 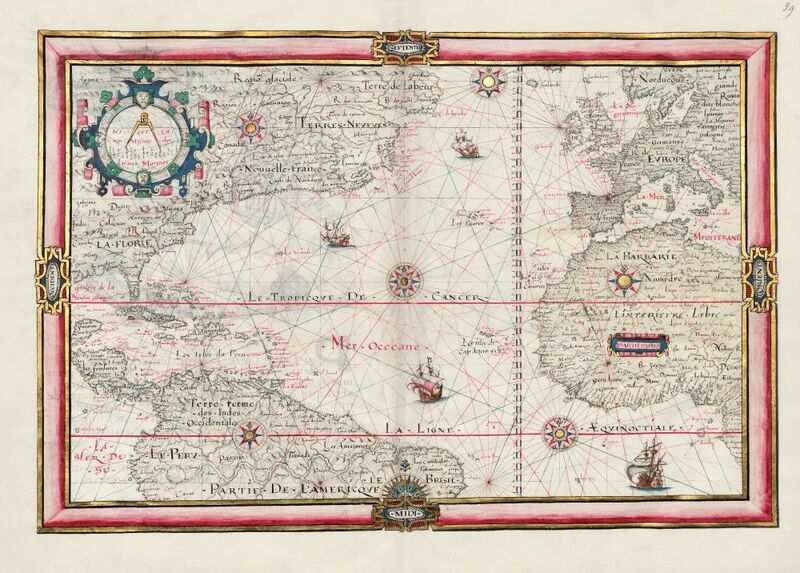 French policy focused on establishing trading posts in the New World, and to that end, a French prince commissioned Devaulx to produce a navigational guide to the Atlantic world. Les Premières Œuvres combines Devaulx's scholarship with empirical observations. 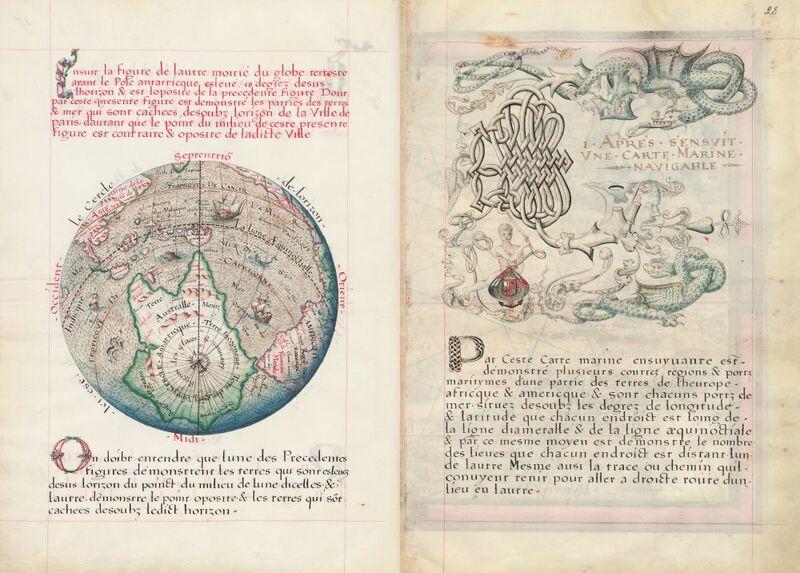 His maps clearly show Europe, Asia, Africa, the Americas, and a hypothetical southern continent; he also indicates terra incognita at the south pole. But the work displays the limits of European geographical knowledge at the time, and there are also a bunch of sea monsters frolicking in the English Channel. 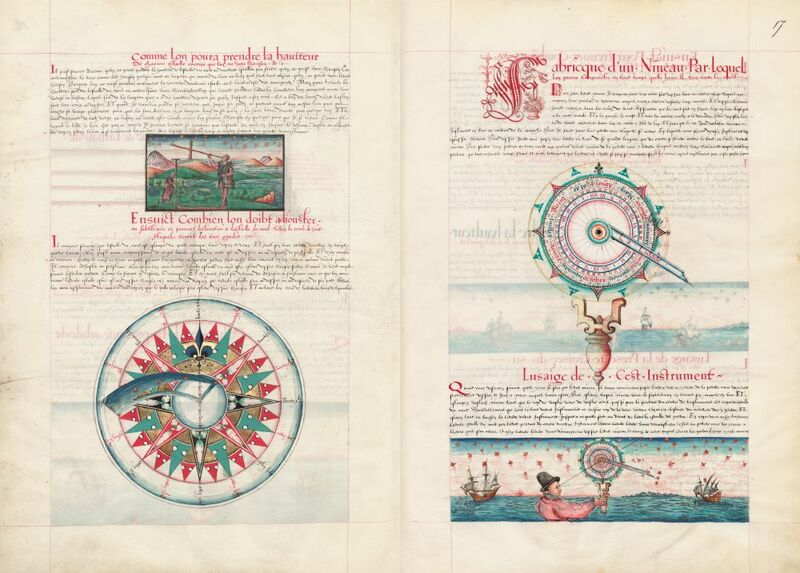 After creating two editions of Les Premières Œuvres, Devaulx embarked on a two-year voyage to the Americas, where he surely put his long-distance navigational skills to work. Aboard the ship La Normande, Devaulx explored trade possibilities in the Amazon basin in Brazil, charted Caribbean islands, and sailed north along the Eastern Seaboard from Florida to Labrador in Canada. The frontispiece to Les Premières Œuvres includes miniatures of Devaulx navigating with the use of different instruments. A cross-staff, or Jacob's staff, was a tool for measuring the angle between two stars and predates the telescope. A nocturnal was an instrument that allowed sailors to determine the local time while at sea based on the positions of stars at night. 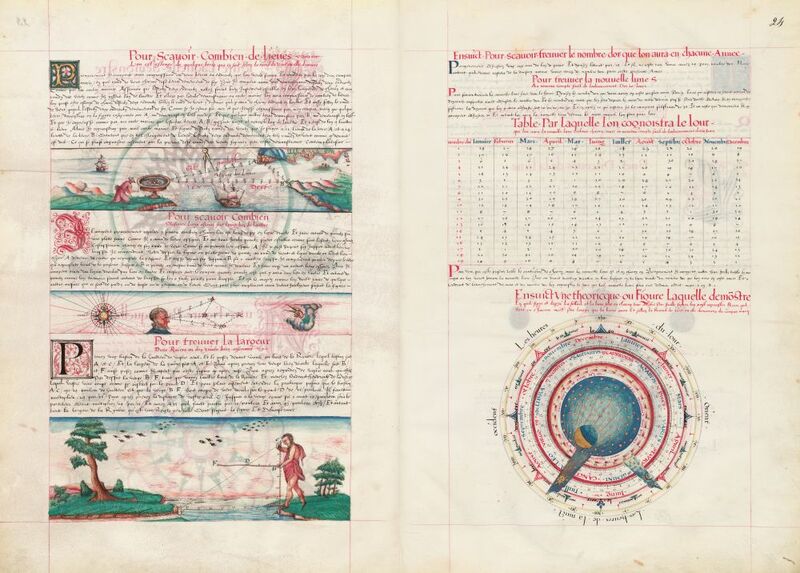 Astrolabes measured the altitudes of celestial bodies, which helped calculate latitude before the widespread use of sextants in the 18th century. This map clearly depicts the continents of North and South America, Europe, and Africa. A rhumb can refer to one of 32 points on a compass, or to an imaginary line that crosses all meridians around the globe at the same angle. Both were used to plot a ship's course. This illustration shows methods for calculating distances using angles. 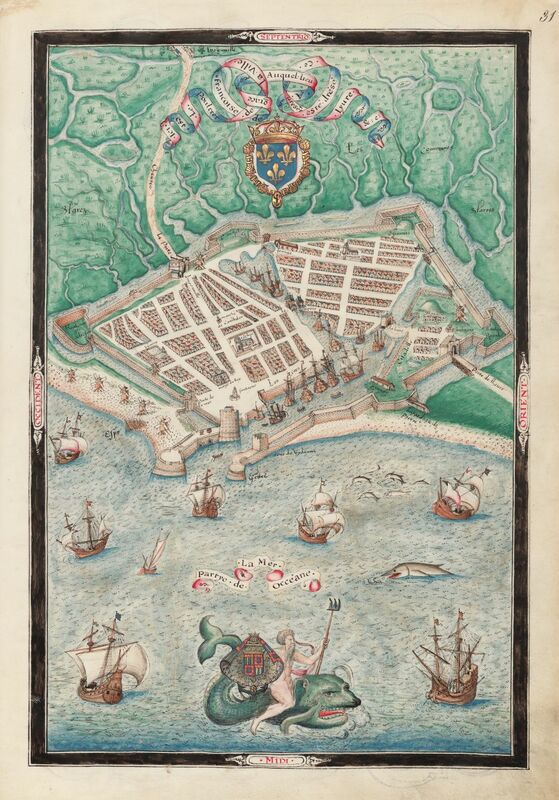 This map shows Devaulx's hometown of Le Havre, a major port on the Norman coast. This map of the southern hemisphere depicts a hypothetical southern continent. Europeans wouldn't actually confirm the continent's existence until 1820, when the Russian explorer Fabien von Bellingshausen sighted Antarctica. 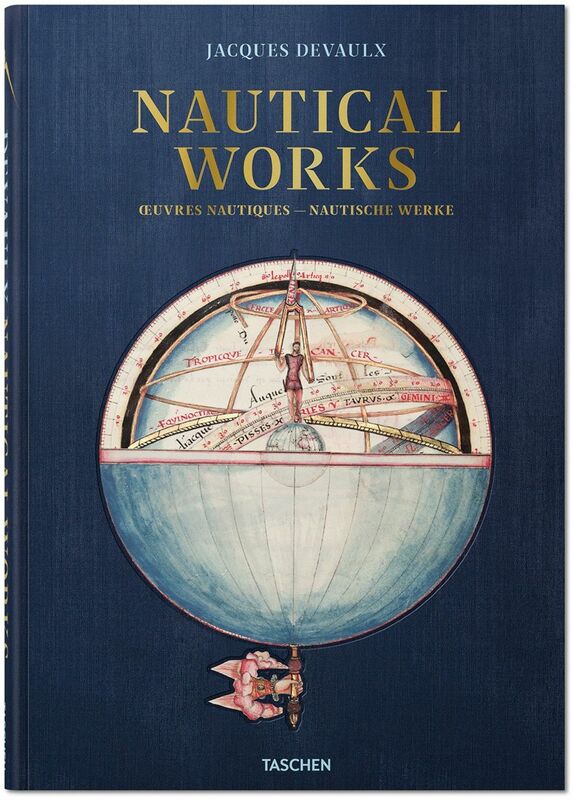 These images are reproduced in the new edition of Nautical Works, published by TASCHEN.